Please call Katie Lamb at (248) 651-5836 ext. 17 with questions. Car Show is open to the public. Gift bag, dash plaque, and t-shirt with $25 registration ($35 pull-in and late registration). 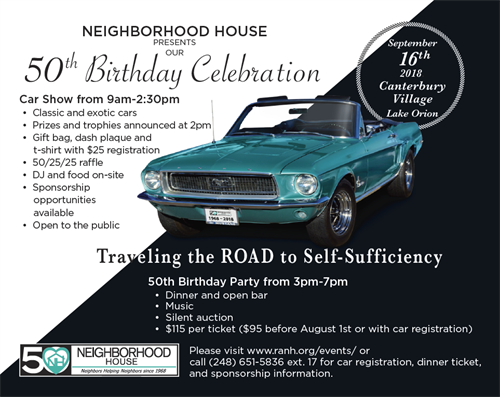 Birthday Party is $115 per ticket ($95 before August 1st or with car registration).